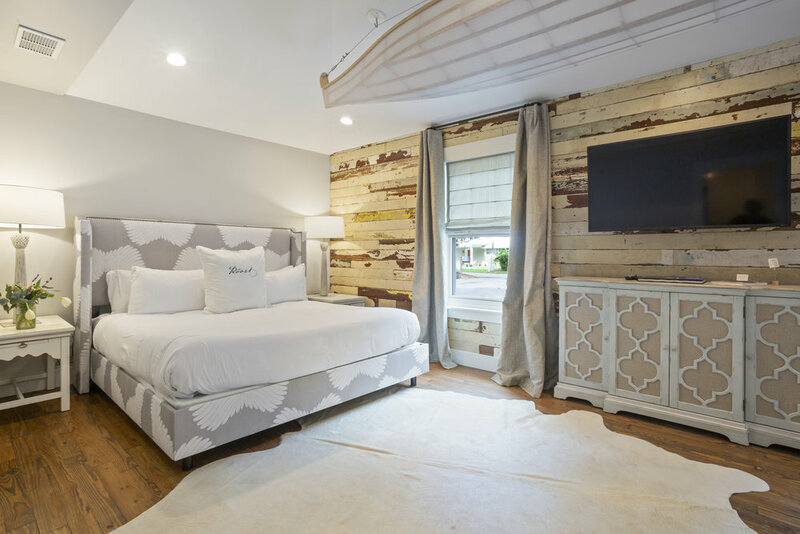 The Oyster Suite offers a king bed and a spacious seating area, en suite bathroom with custom walk-in glass shower, kitchenette, and direct access to covered porch. You will find locally roasted coffee as well as a selection of teas, and organic bath amenities featuring KORRES Apothecary soap. The Oyster Suite is located on our first floor.